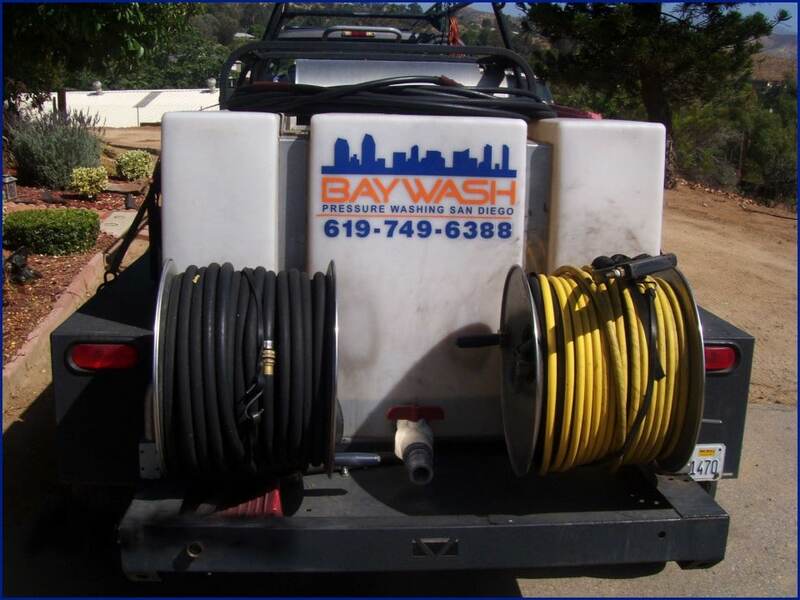 BayWash Pressure Washing has been in business in San Diego for more than 25 years. 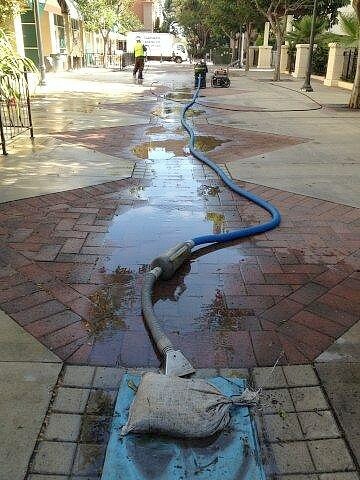 We are fully insured with $2,000,000 in general liability as well as workers compensation insurance. Environmentally conscious, we reclaim wash water in accordance with the San Diego Storm Water Management and Discharge Control. 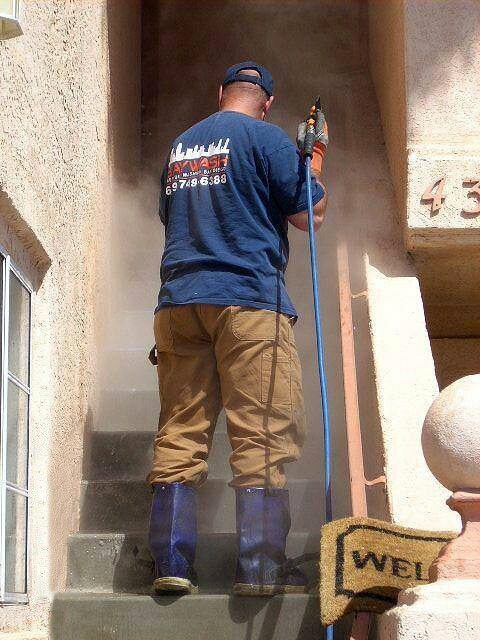 We service commercial, industrial, and residential clients throughout San Diego County. We combine extensive knowledge, skill, experience and training with high technology, specialized equipment to give our customers a tremendous value for their money. Our trained professionals are ready to review your cleaning needs and provide you with a FREE detailed proposal on how to resolve your issues and concerns, and leave you 100% satisfied every time. We focus on attention to detail and good, old-fashioned professional service. 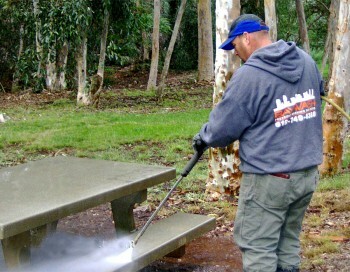 “Wash Water Management” – As an environmentally conscious business, we strive to reduce or prevent the discharge of harmful pollutants into San Diego’s storm water conveyance system in accordance with the San Diego Municipal Code 43.03 Wash Water Regulations for mobile businesses.